The version at the bottom of this page shows unit number location too. 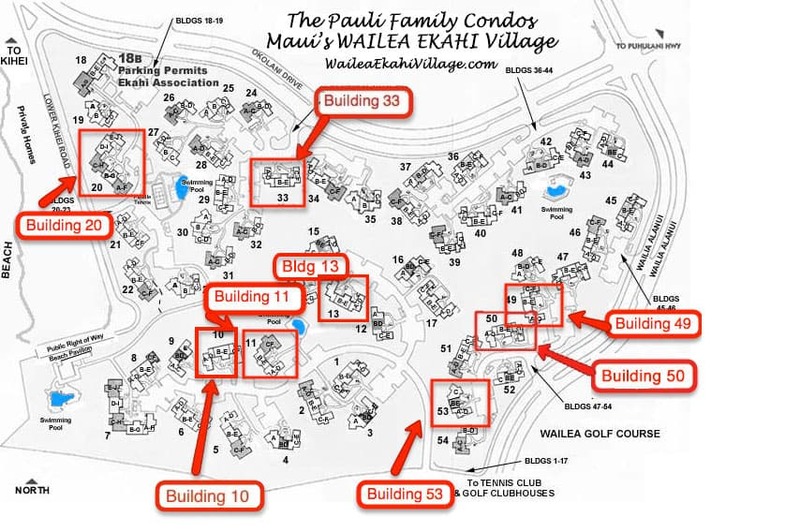 Use the Ekahi Site Plan PDF Version for a printable map. View the Ekahi Village Map we made on Google to get the real feel of Wailea Ekahi and the location of our fabulous condos. 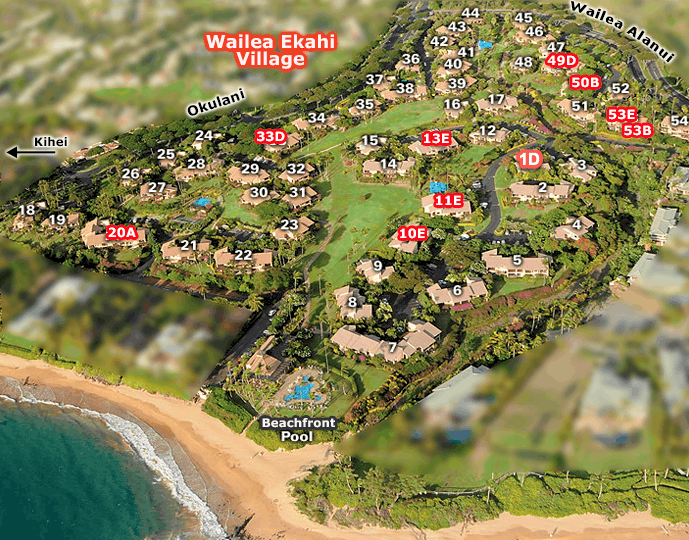 For maps of Wailea and Maui, including a Wailea trail map – view our Maui Maps page. 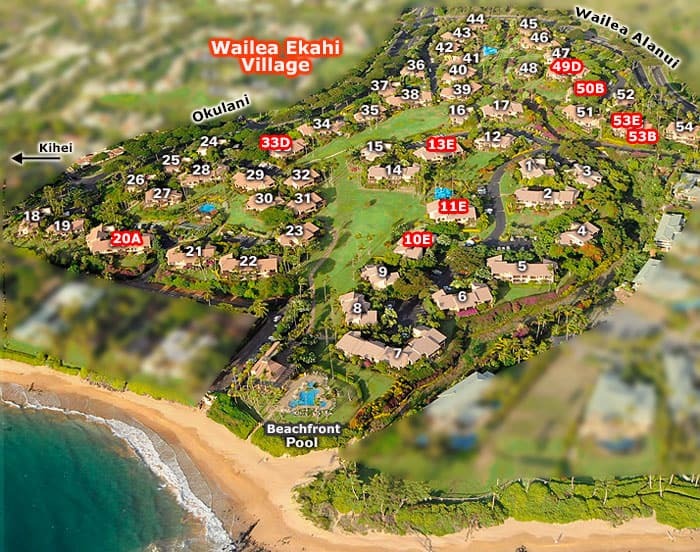 It will take you less time to get to the beach from any condo at Ekahi (1 to 5 minute stroll) than from most rooms at the Wailea Fairmont, Grand Wailea, Kea Lani, Andaz and Marriott hotels that line the beaches south of Ekahi. Click on Map for larger image (best viewing).